Let The Rumors Start Rolling In! 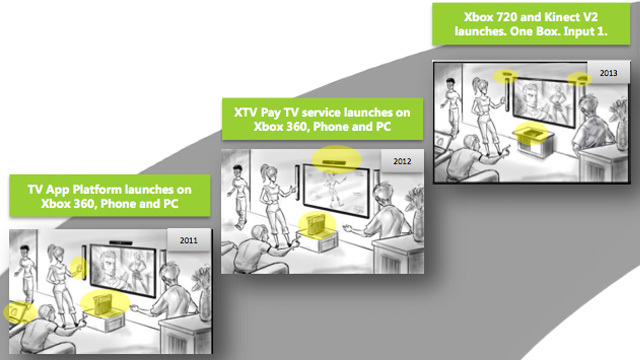 – XBox 720 Info Leaked? Well, it is that time of year again. Just after E3 when some people are holding out hope for the announcement of a new console – only to be disappointed to see that no such announcement will take place until at least next year. As soon as that happens, you will start seeing the most devoted (insane) gamers start scouring the internet for any sort of leaks of new information about the next consoles to be released. The latest ‘leak’ was posted on EGM (via Scribd) and it was then pulled down and removed through the advising of one of Microsoft’s corporate law advisers. Some of the rumors have the new console being released at the $300 mark. If that is the case, it could be one of the most shocking aspects of this ‘discovery’. Although, one shouldn’t forget that Microsoft and Sony have started to make a habit out of releasing multiple consoles in different versions since 2005. Some have been stripped down shells of what they should have been (4GB 360 Slim and 20GB PS3 – I’m looking at you!). So, please keep in mind that $300 could be the low end model (if this is even legitimate in the first place). If this is fake, it is fake… If it is real it could be the best thing Microsoft could do to make Sony re-think another console release at $600. We won’t be devoting a lot of time to this rumor due to the nature of it being just that… a rumor. However, it is intriguing to consider the possibilities of a system that could have some of the specifications listed in the brief article. What are you looking for at this point in a console? Does this rumor excite you about the future or were you expecting something different altogether? I hope this isn’t called the Xbox 720… that has to be the most stupid name for the device that one could think of. They could stick with the code name ‘Durango’… I am personally hoping for something along the lines of XBox Trinity… That would at least sound cool. Next Next post: Is This The Worst Year In Gaming?